When I was a little girl, less than 10, I wrote a story about a princess who fell madly in love with the boy who took care of her royal horse. I don’t remember any of their names, but I remember feeling oddly attached to the characters. When I quit my job to stay home with my beloved Baby Dub, I wrote another story — a full length novel, about a woman who knew great love and overcame incredible heartache. The premise of the novel was that love is a risk worth taking. I shopped it around to a few agents and publishers, but nothing became of it. Then I met an agent who told me, “Listen, you’ve learned so much from writing a whole novel. Treat it as your learning lab. Put it on the shelf and move on.” That was the most liberating advice I’d ever been given. And move on I did. I started writing nonfiction — stories from my own life. I wrote about how God was faithful in my own heartaches and losses, and I wrote lighthearted pieces about raising a family. In 2008, I started this blog, Spur, and have loved crafting every single word. It has been mostly for my own benefit, and if a few of my words have encouraged someone, well then, that’s icing on the cake. Writing is an outlet for me. Carving out an hour to write is an indulgence. I’d rather write than eat ice cream, or get a massage, or go shopping, or almost anything. It is the pinnacle of me-time. Then just about six weeks ago I was watching the sunrise over the Atlantic in a spot that has been special to me for many years. The concept for a story flooded my mind. It was based on a place, on friendship, on beholding the sunrise. 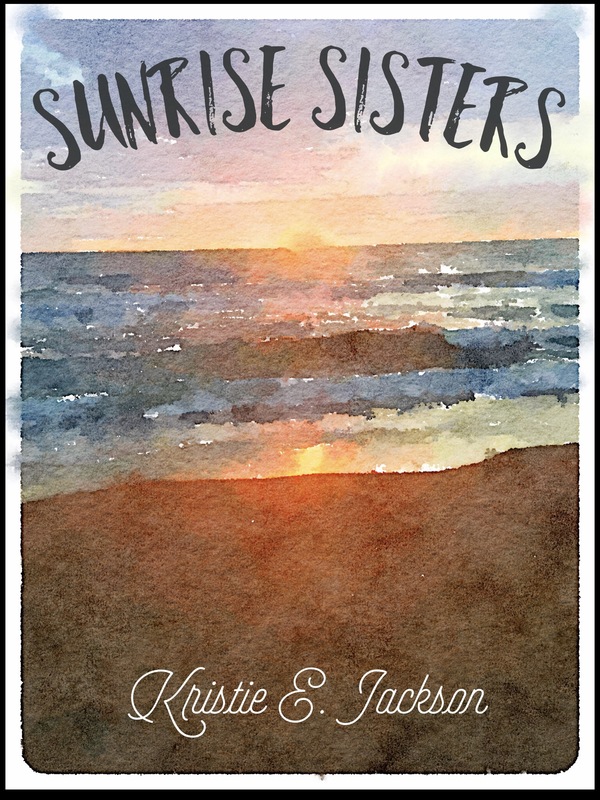 Next Friday, Sunrise Sisters, will be available on Amazon as an eBook. The kindle app is free and easy to download for pretty much any device. It would mean the world to me if you’d buy and read this novella. It is the first in a series of three, and I pray that it will be a fun read with some substantive take-aways. Your prayers for the success of Sunrise Sisters would be greatly appreciated. Thank you so much, Sweet Brenda. Your comment means a lot, and your prayers are greatly appreciated. I’m glad Will gets to bump into you each week! Loved Sunrise Sisters #1 Kristie! When do we get # 2?